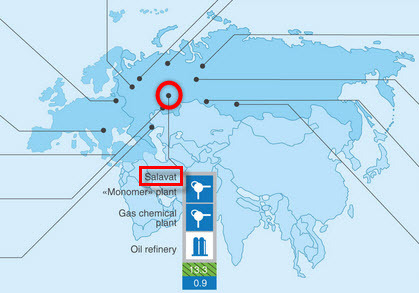 In 2011, Salavatnefteorgsintez changed name to become JSC Gazprom Neftekhim Salavat (GNS) in order to support the creation of the All-Russia Gas Chemistry Center for the expansion project on the existing Volga petrochemical complex in the Republic of Bashkortostan, Russia. This Gazprom–led project is part of the Russian Government long-term plan to develop its petrochemical sector across the country through series of industrial clusters in order to support its economic growth. This national plan will be implemented in phases in respect with the development of the upstream sector to provide the corresponding feedstock to each cluster. During the first phase, the Russian Government is giving the priority to the expansion of existing petrochemical complex in Volga and Western Siberia. The second phase is targeting to develop a greenfield cluster in the Caspian region. The third phase is focusing in the Northwest and Eastern Siberia regions while the final phase includes a greenfield cluster in the Far East region. Regarding the Volga cluster within the first phase of this national long-term plan, Gazprom is planning to invest $4.9 billion capital expenditure through its subsidiary GNS to revamp, upgrade and expand the existing Salavat ethylene cracker and associated polymers production units. 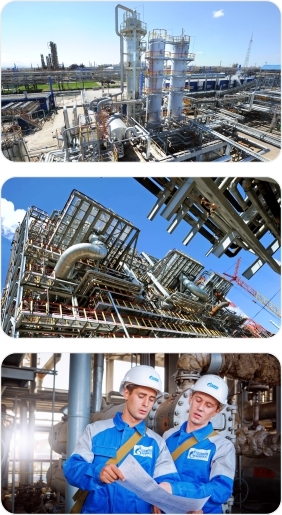 The Volga cluster project is planning to increase the ethylene production capacity from the current 300,000 ton per year (t/y) in different phases up to 1.4 million t/y by 2020. These phases will be cadenced in respect with Gazprom development of the corresponding infrastructures upstream and midstream required to feed the complex as it grows up. This first phase of the All-Russia Gas Chemistry Center should be completed in 2015. For this second phase of the All-Russia Gas Chemistry Center project , Gazprom Neftekhim Salavat is considering to build the ethylene cracker at the world-scale of 1 million t/y . This Volga ethylene cracker should use mixed technologies in order to accept naphtha, ethane and Salavat refinery gases. With this major step change in the Volga region of the Republic of Bashkortostan, Gazprom Neftekhim Salavat is expected to provide all the petrochemical building blocks required to feed the Salavat Industrial park to produce elastomers, moulded parts, pipes and films. Is there any mobilization plan to hire project manpower from oversea ? to offer excellent technologies and high quality management skills in executing such a mega project named SALAVAT NAPHTHA CRACKER if it is allowed. Please be informed of your kind answer if there is any plan to hire.